Software Development & Management Information Systems | Tactical Edge Inc.
Tactical Edge offers innovative technology solutions, developed from our extensive IT services experience, that drive efficiency and optimize business processes. Command and Control (C2) systems enable information superiority on the battlefield, providing operators with the information to make decisive, effective decisions. Applying our extensive experience designing logistics systems for the largest supply chain in the world – the US military – we provide cost-effective, adaptive software solutions and comprehensive direct-support services that help achieve our customers’ business goals. 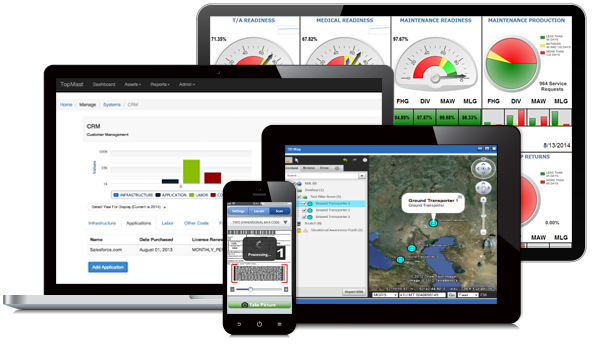 Tactical Edge offers customized software and data management solutions that reduce costs and extend system lifespans. Our innovative technology products enhance efficiency, synergy and visibility for business operations. Tactical Edge provides an innovative and engaging work environment for the best and brightest in the software engineering field.